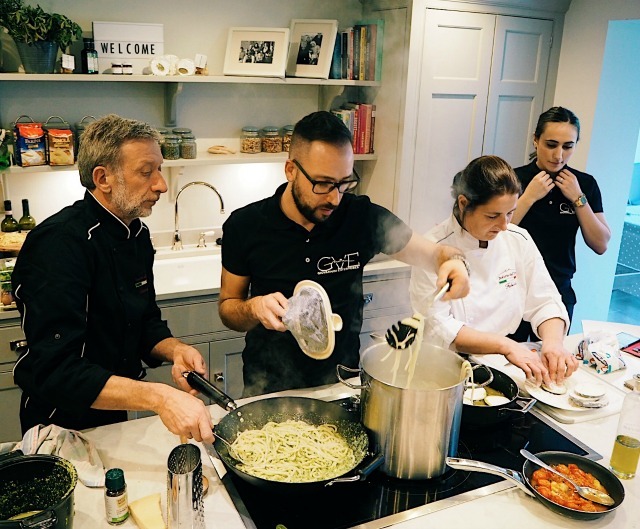 Earlier this month, Jo Mackay from luxury villa holiday specialists Bookings For You invited me to take part in an Italian culinary masterclass hosted by the Giovannini family from Volterra in Tuscany. The Giovannini family - made up of Mum, Fabiola, Dad, Giancarlo, Son, Dario and daughter-in-law, Vera - are second and third generation pastry chefs and together they own the award winning Dolceria del Corso pastry shop in Volterra, alongside a catering business that operates throughout Italy and beyond into Germany and France and, as if that didn't keep them busy enough already, they also run an event management company from their HQ in Tuscany to boot. Bookings For You started working with Giovannini Enterprises back in 2015, helping them to promote their stunning country residence, Country Relais and Spa Le Capanne - a completely restored villa that sleeps 22, has it's own pool and comes beautifully fitted out with vintage furniture. 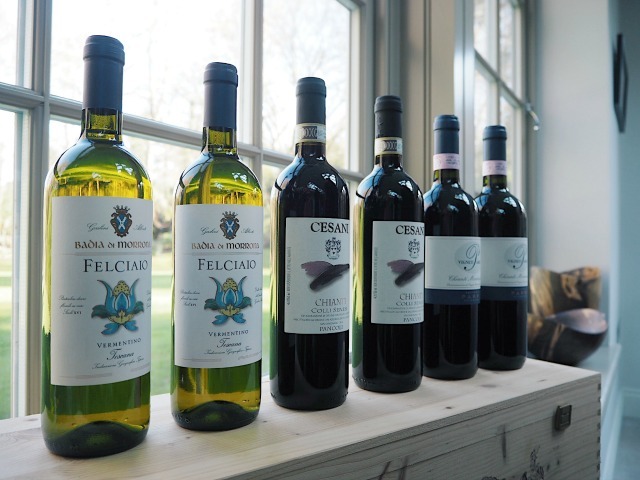 The estate is also a place for the Giovannini family to showcase their culinary talents and has 400 olive trees in its grounds, enabling the family to produce their own Extra Virgin Olive Oil. In my opinion, no other cuisine in the world compares to Italian cuisine. 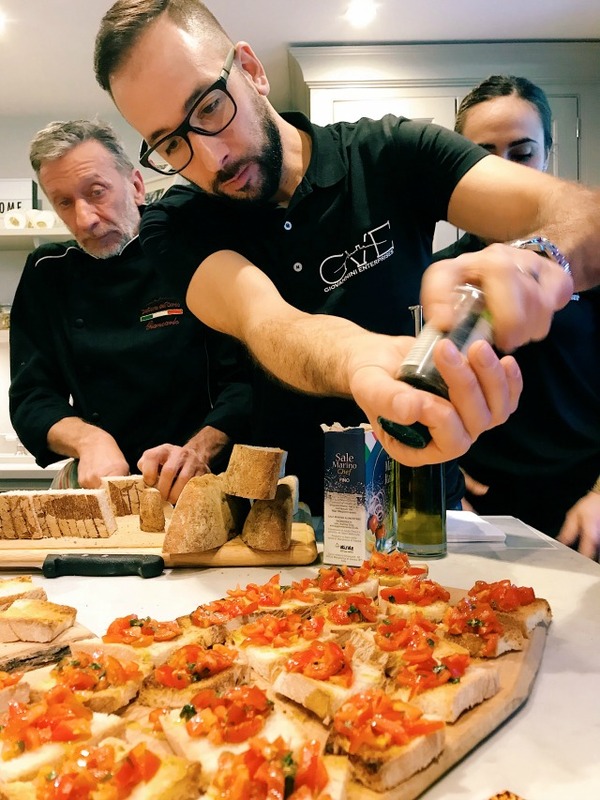 Italians have a way of turning the simplest ingredients into the most amazing meals and I think that's down to two things: (1) the quality of the ingredients that they use, and the fact that they are always local and always seasonal and (2) they are so passionate about cooking, and spending mealtimes with the people closest to them. 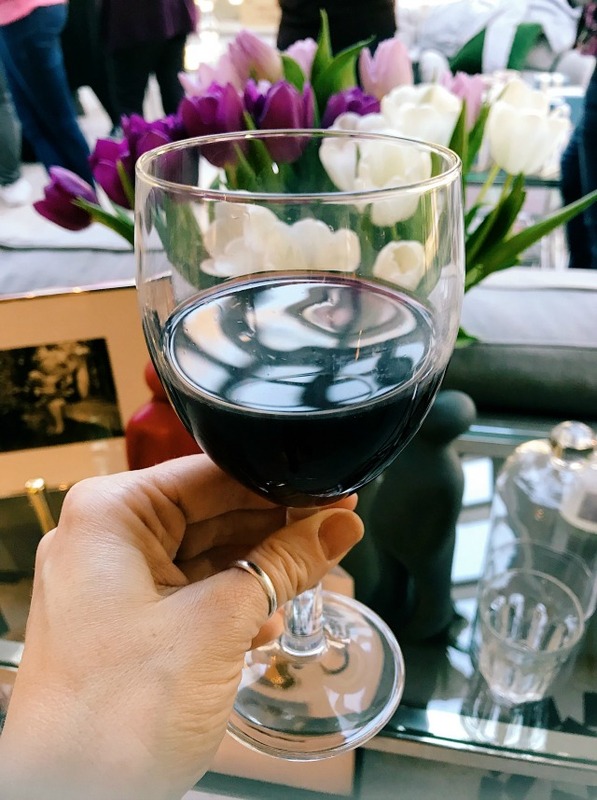 Which brings me nicely onto my amazing day of cooking and feasting with Jo, the Giovanninis and some of the loveliest bloggers I ever did meet! A day that starts with a breakfast of strong, fresh, black coffee and dairy free chocolate and beetroot cake is always going to be a good one. The regional favourites that we got to make (and eat!) 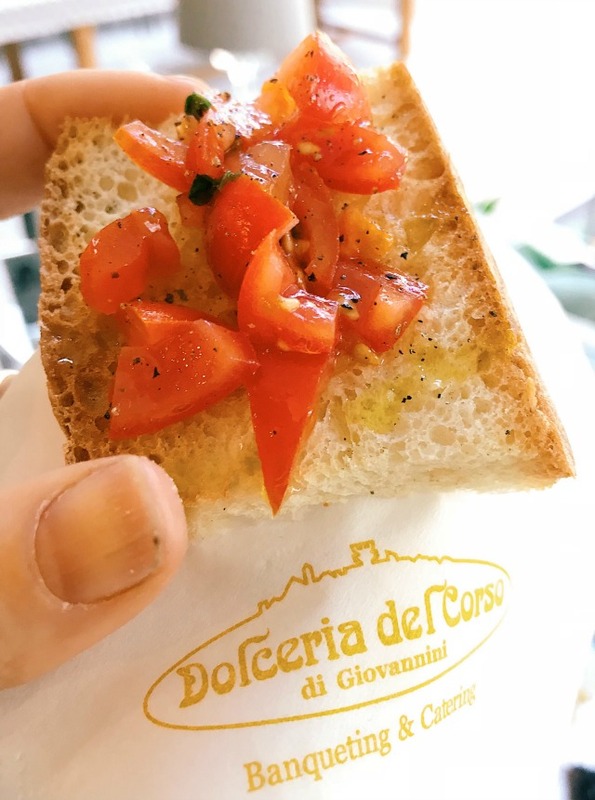 included bruschetta Toscana (simple baked bread with extra virgin olive oil, garlic, salt and pepper) bruschetta al pomodoro (the traditional Italian dish we all know and love) and crostini con fegatini (that's chicken livers to you and me - basically the Italian version of pate). 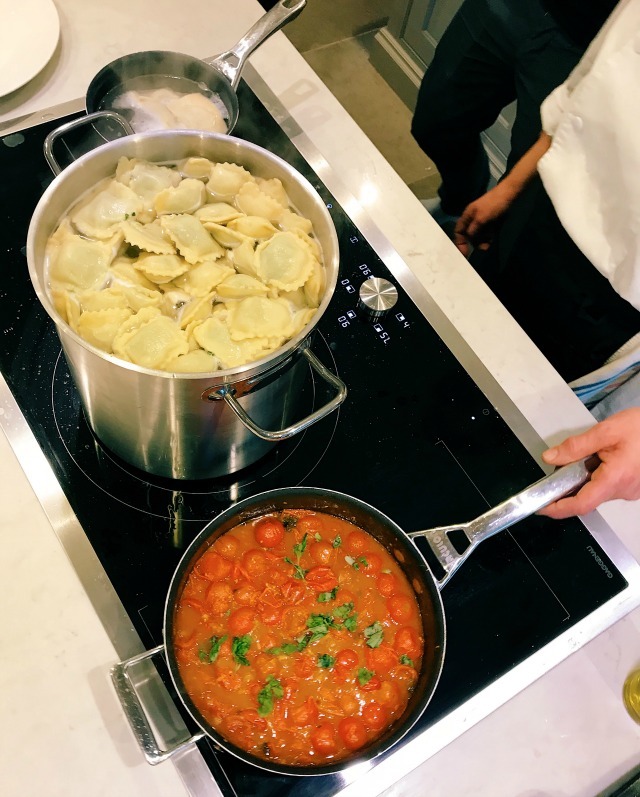 The second course was ravioli ricotta e spinaci con pomodorini pachino e basilico (homemade spinach and ricotta ravioli with a cherry tomato and basil sauce - and a dairy free version for me, which I was super grateful for!) and pici all etrusca (homemade pici pasta with a Tuscan sauce made from eggs, garlic, parsley, mint and basil, extra virgin olive oil, salt and pepper and pecorino cheese - which can be left out if you're dairy free like me). Coscio di cinghiale agli aromi con olive was certainly one way to end my month as a vegan. Giancarlo had slow roasted a huge leg of wild boar (brought over from Tuscany) when we first arrived, and four hours later it was cooked to perfection and served to us with hot black olives. Guys! I was so excited to shovel meat into my mouth (sorry vegan and veggie friends) that I didn't even take a photo. Yes you heard that right. I. Didn't. Take. A. Photo. It was SO GOOD! I might have had seconds and thirds. I had to leave before the millefoglie crema chantilly e fruitti di bosco (traditional Italian cake with cream and berries) and tirimasu but I have it on very good authority that both were divine which, of course they were, as every single morsel that passed my lips that day was absolutely incredible. It's been ten years since I was last in Italy and it's a place that I've always wanted to travel to with the girls. When we decide to go I have 100% found the right person to get us there, and that's Jo from Bookings For You. Family means everything to Jo, and was one of the main motivations for her to set up the business back in 2011. She was pregnant with her second child and wanted to be able to work flexibly. Being able to help families plan special holidays is something she is incredibly passionate about and I know she will be able to help us organise our perfect first family trip out there. 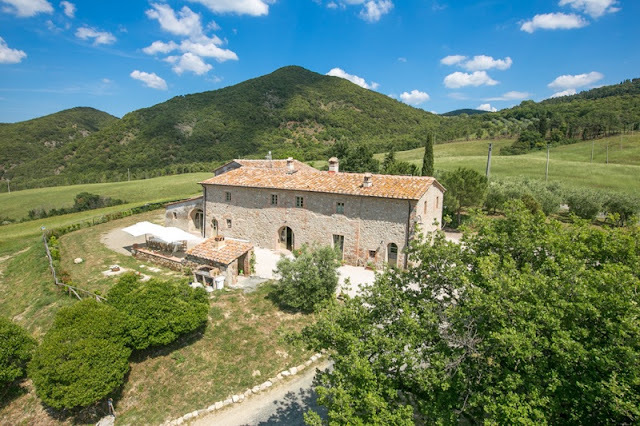 Bookings For You have more than 350 properties to choose from in Italy, France and Monaco - you can take a look at them all over on their website here. Thanks so much to Jo and the Giovannini's for a wonderful day!